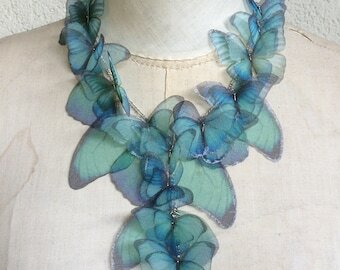 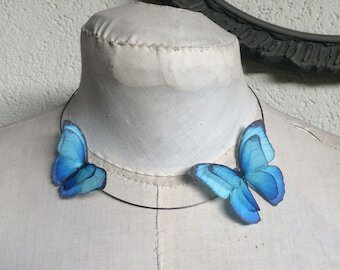 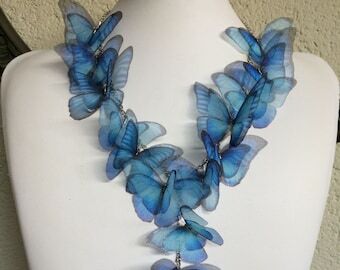 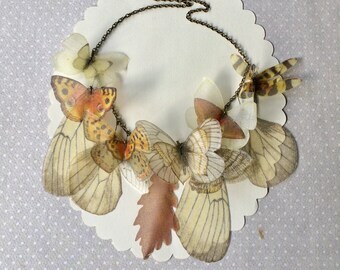 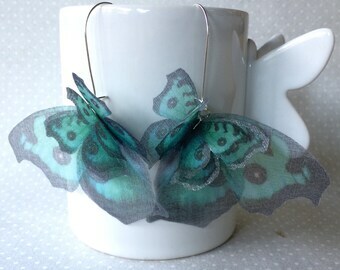 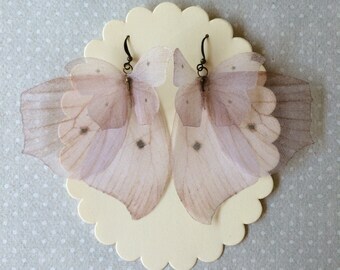 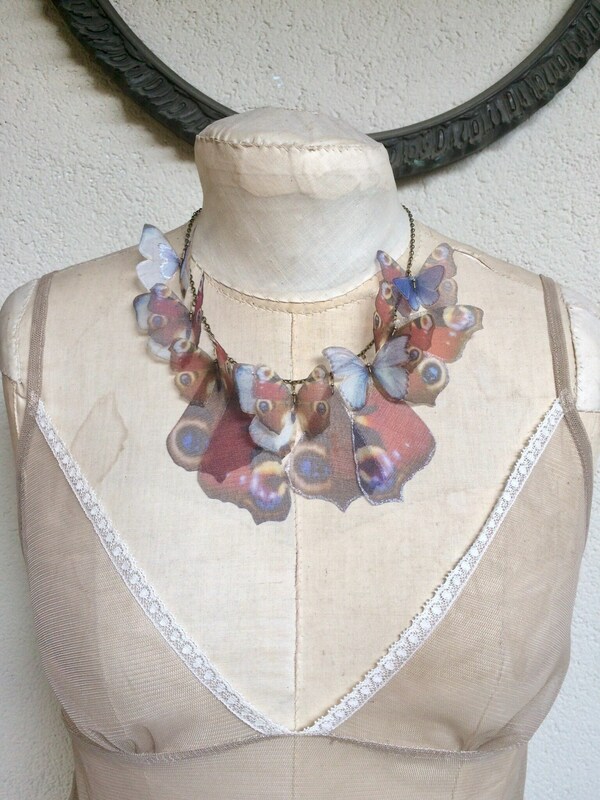 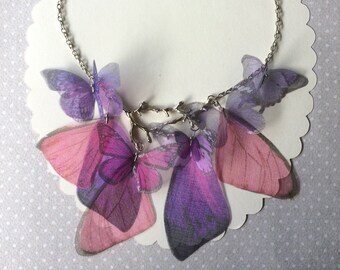 Completely hand-made necklace with silk organza butterflies. 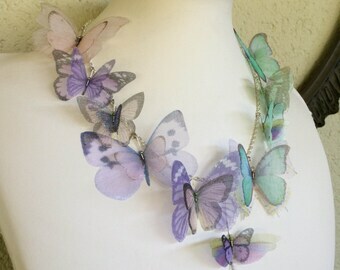 One of a kind creation! 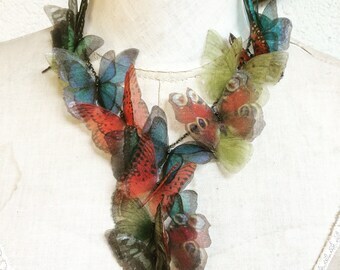 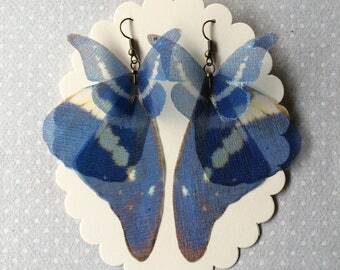 There are 16 red burgundy and light blue butterflies and wings on this necklace and each one measure from 3 to 9 cm. 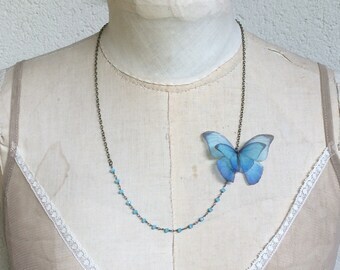 Antique bronze chain is long about 45 cm with lobster clasp.